At Brandon Cross, we understand that not every organisation wants to completely overhaul its existing IT infrastructure and software systems in order to work more efficiently and provide staff and customers with an improved experience. Sometimes it simply comes down to making the best of what you already have at your disposal. From ensuring that your current systems are as up-to-date as they should be to recommending which patches to apply in your given situation, our friendly team assist businesses and charities of various sizes with rationalising their current software tools. Before investing in new software systems, it is always worthwhile ensuring that you are optimising the systems you currently have in place. One of the things that worries business owners as well as IT directors about legacy software is how adaptable it is to the General Data Protection Regulations (GDPR). Since all UK organisations must comply with the GDPR, verifying how your current tools will allow clients to be ‘forgotten’ on a system, for example, becomes ever more important. Likewise, GDPR places a legal onus on organisations to inform users as and when data is gathered on them. Perhaps your current software needs a bespoke patch to ensure it meets this obligation? Where your existing software tools provide information externally, so you will need to check that it remains fit for the demands of the twenty-first century, too. Legacy software systems may be useful but that is not the case if they provide a backdoor for hackers to use. At Brandon Cross, we have the experts who can check on your existing software tools to make sure that your information security is not being compromised by continuing to utilise them. 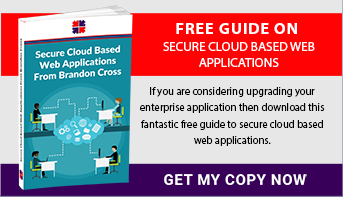 If you are interested in harnessing the power of secure cloud-based software systems and how these might augment your current tools, then take a look at our helpful free guide – Secure Cloud Based Web Applications. Feel free to call or email us about the services we offer with regards to making the best of current software tools and helping to develop strategies for your future software needs.